Tuned mass dampers (TMDs) are systems that can be coupled to a vibrating system and efficiently absorb energy from it. By that the amplitude of the vibration of the original system can be reduced significantly. TMDs are designed in a way that they efficiently absorb energy of vibrations around the natural frequency of the vibrating system. 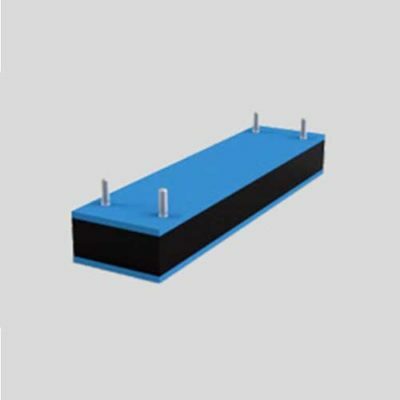 They are passive vibration control products as they only following the motion of the original system. A typical application within power plants or industrial plants is the vibration control of piping systems oscillating e.g. because of rotating pumps. An example taken from civil engineering is the control of vibrations of high-rise buildings or towers induced by wind. Another application is the control of vibrations of wind turbine generators that are due to the rotation of its blades. These very different vibration control problems show that TMDs often are products that are specially designed for a specific application. 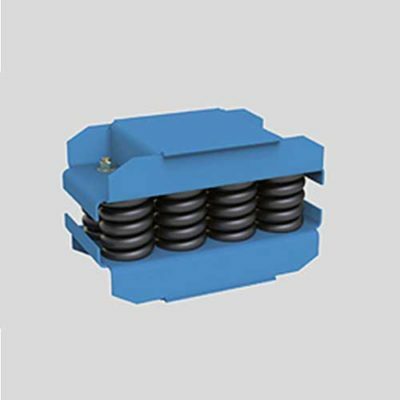 Tuned mass dampers in general are vibratory systems consisting of a mass, an elastic and a damping element being coupled to the original vibrating system. The process to design a TMD always follows a similar logic. 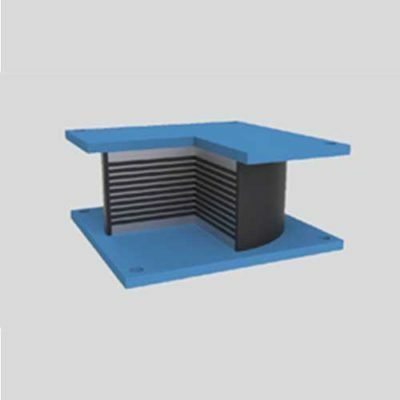 However, depending on the specific application the size of the mass, as well as the sizes of the elastic and damping element of the TMD can vary in a broad range. VICODA can provide TMD solutions for all typical applications. Depending on the vibration problem different designs like trolley type TMDs or pendulum TMDs are available. 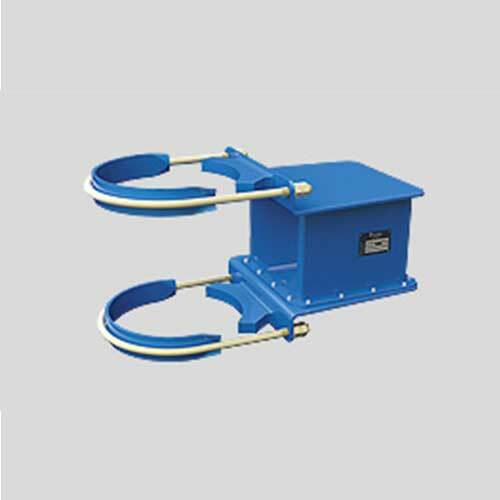 Especially for the vibration control of piping systems a standardized VICODA TMD has been developed consisting of an oscillating unit and standard connection elements to the pipe. VICODA offers two preconfigured standard oscillating units, allowing to control almost all typical piping vibration problems. Due to the modular design of the oscillating units its mass, its elastic and its damping parameter are adjustable during production. The smaller unit provides a mass of up to 100 kg, the bigger unit a mass up to 350 kg. Final fine-tuning of all parameters can easily be done during commissioning on site thus allowing a precise calibration of the TMD and by that a highly effective reduction of the pipe vibration. damping is independent from environmental conditions especially from temperature. damping is independent from specific vibration characteristics of the piping system allowing efficient damping also in different operating conditions. due to contactless energy transfer to the damping unit the oscillating unit is durable, maintenance free and highly reliable. An important advantage of the TMD is that it can be mounted directly onto the pipe without any rigid abutment. Due to this feature the tuned mass damper does not interfere with thermal movements of the piping system. It is also due to that feature that it can be perfectly used as a retrofit measure.